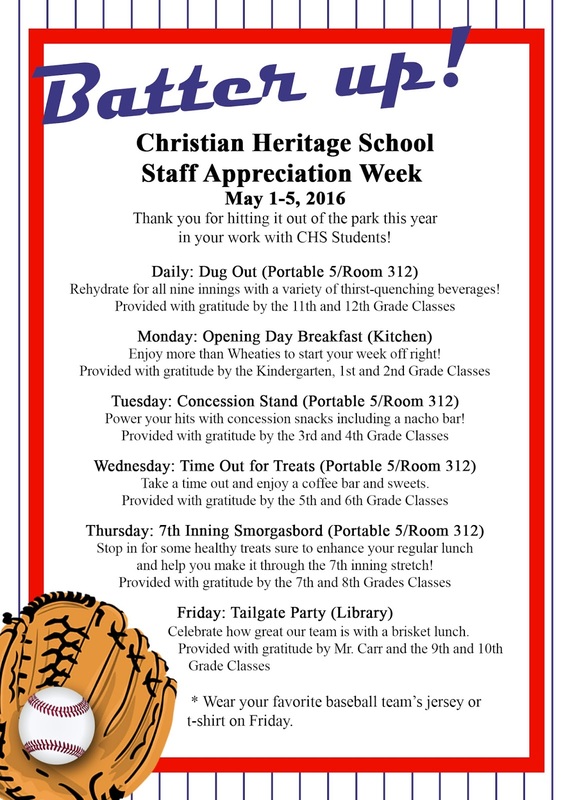 If you have read my blog, you know how much I love employee appreciation and especially teacher appreciation. 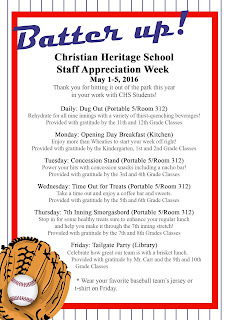 This year I helped with my son's teacher appreciation week with a baseball theme of "Thanks for hitting it out of the park this year with our kids!" Here are a few of the items I designed and made for the week. Here is the invite I created with the different special daily treats. I started by making a few pennants used them to create a cute centerpiece with a glass jar, foam finger and baseballs. Then I used it to create the fun vignette pictured below. The next thing I created was a banner that I used as part of a backdrop for the food table by hanging it, red and white striped wrapping paper and fun paper circles that I found at Hobby Lobby. Here is another view of the room. The one thing we had all week long was a drink buffet with sonic ice. and who doesn't love sonic ice. I also created some fun signs and food labels. If you are in charge of your teacher appreciation week and need some custom creations like an invite for the weekly events, signs and food labels contact Paper Perfection at jtanddolly@yahoo.com.